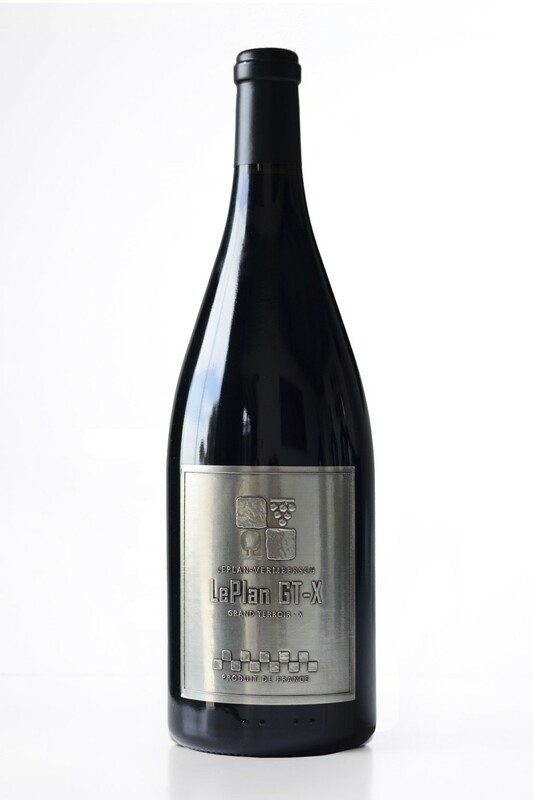 The GT-X is a blend of the best barrels of the LePlan winery with all grape varieties included Alicante, Carignan, Grenache, Mourvedre, Syrah and Viognier. This wine has a magnificent and deep ruby color, with bright tints. Fresh licorice with subtle earthy notes mixed with dried almond highlight the bouquet. Magnificently opulent and well-rounded, this is a refined and ample wine. The tannins are buttery, fine and integrated, and the finish that lingers on. Only made in Magnum in the best vintages.